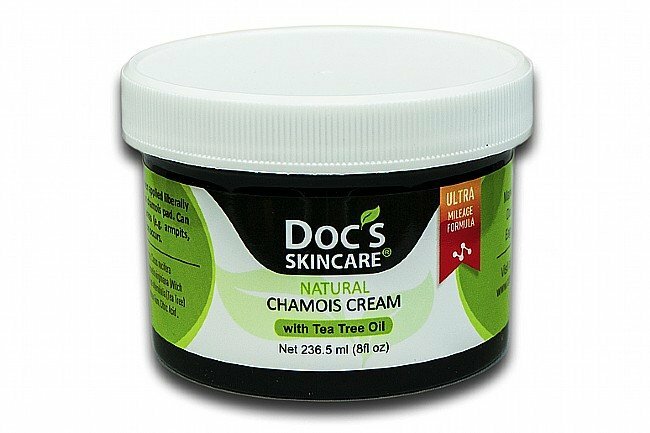 Doc's Skincare All Natural Chamois Creme provides an alternative to synthetic and petroleum based anti-friction creams. Doc's has formulated their 95% all-natural lubricant using aloe and coconut oil as a foundation. The addition of tea tree oil adds additional refreshment and a pleasant scent for comfort that lasts for miles.